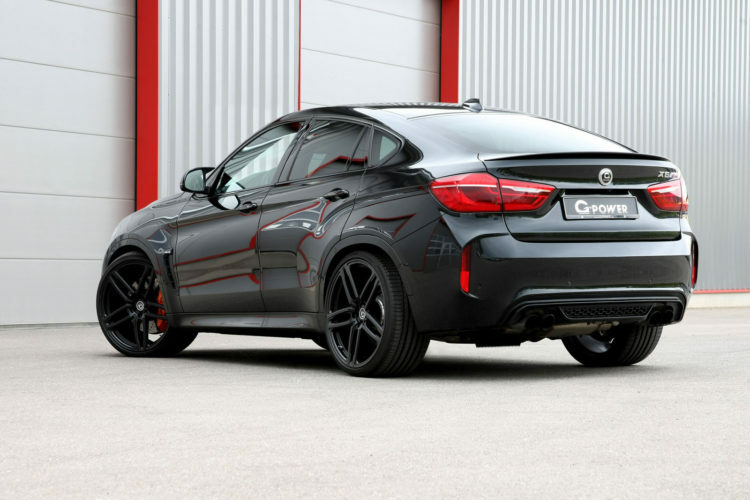 German tuning shop G-Power is back with another exciting project, this time, based on the BMW X6 M. With 567 horsepower and 750 Nm (553 lb-ft) of torque, the standard BMW X6 M delivers plenty of power for most owners, but then there is always that small group of people craving for more oomph. 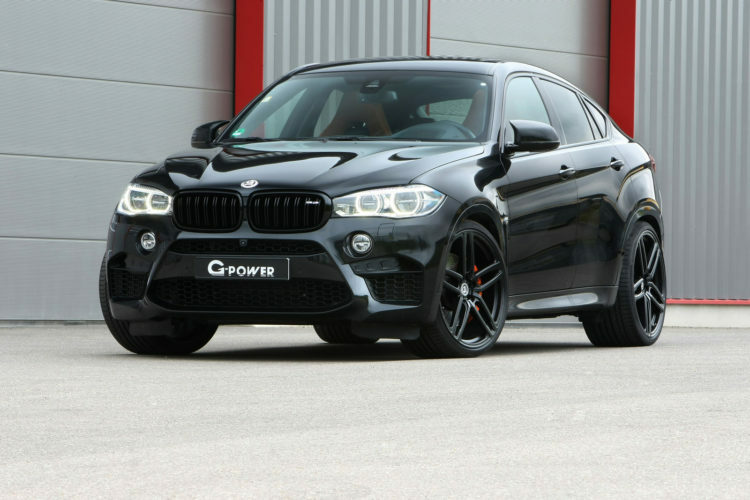 To satisfy those cravings, G-Power designed three new power kits for the sporty SUV. The tuner’s entry level kit raises the 4.4-liter twin-turbo V8’s output to 641 HP and 850 Nm (627 lb-ft) of torque through either a software remap or the Bi-Tronik 5 V1 power module. The latter is a plug-and-play solution, while the former appeals to drivers who require a customized solution. Stage 2 is based on the Bi-Tronik 5 V2 or the Bi-Tronik 2 V2 software remap, but additional parts are needed, lie the stainless steel downpipes which reduce backpressure in the exhaust. Once the software is calibrated, the total output jumps to 690 HP and 905 Nm (667 lb-ft) of torque. 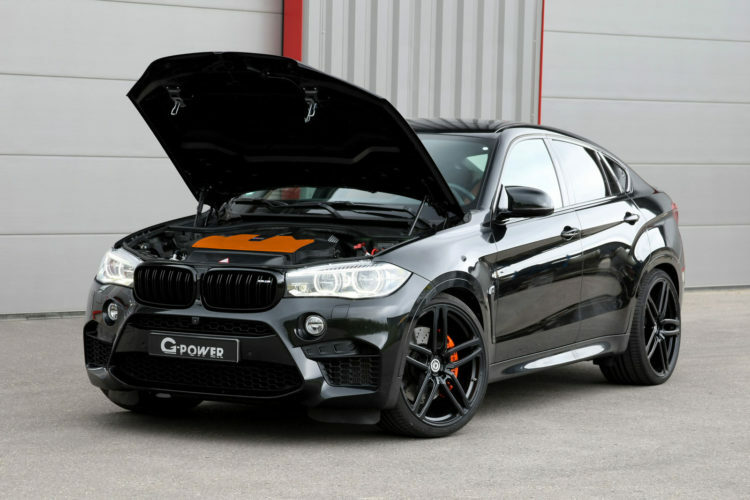 The final and most powerful power kit delivers an impressive 739 HP and 980 Nm (723 lb-ft) of torque, and comes with uprated turbochargers, stainless steel downpipes and bespoke titanium exhaust system, which features four 100 mm diameter tailpipes and two rear silencers. The exhaust weighs 23 kg (51 lbs) compared to the stock exhaust system, while delivering an impressive sound. With all that power under the hood, the X6 M now needs 11.5 seconds to complete a quarter mile sprint. G-Power also offers other aftermarket parts for the X6 M, starting with the GX6M-RS coilover suspension and ending with 11×23-inch Hurricane RR forged alloy wheels.